This ‘Select CBD’ review gives you an insight into the quality and composition of their products. This well-known brand is based in Portland Oregon. 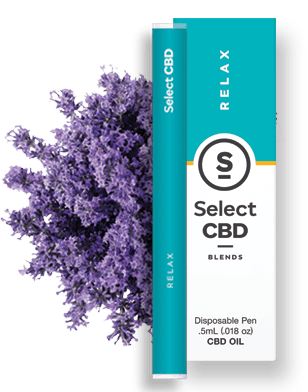 Select CBD has been a front-runner in bringing CBD to the vape-world and their revolutionary vape-pen design particularly pleased our testers. Select CBD produces only 100% pure CBD and is completely THC free which excludes any chances of getting ‘high’. 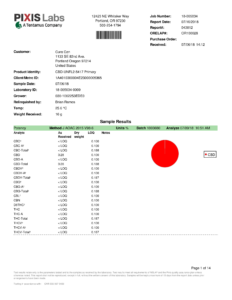 In addition, their products are completely free from solvents and contaminants. 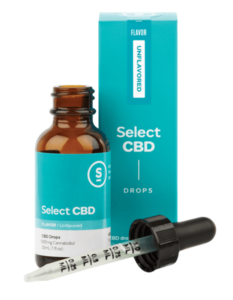 Product innovation is Select CBD’s major focus area. They thrive to improve extraction and processing techniques to stay ahead in cannabis science. A seven-tier quality control ensures highest quality is maintained. Vape pens are locked away for 24 hours before shipment to ensure that they are cured and wicks are fully saturated. 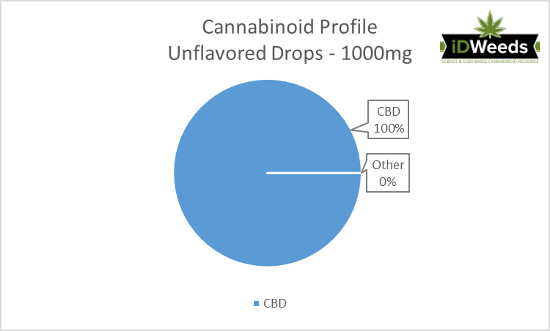 Each Select CBD product contains 100% pure CBD. Some of the products are enhanced with terpenes. Studies show that the combination of CBD and terpenes provides a better therapeutic effect than CBD alone. Our testers really liked the vape pen of Select CBD and called it revolutionary. The vape experience with Select’s innovative vape technology is much better, something that especially experienced vapers appreciate. This very user-friendly vape pen contains 150+ mg of CBD. Just pull it out of the box and inhale. That’s all there is to it. A small light at the end of the vape pen lights up almost like a cigarette bud as a sign that it is working. A 6-second puff contains about 1 mg, so you’ll get about 150 puffs out of this little vape pen. A nice touch is that the lab analysis is printed on the back of the box. Vaping one of the Focus vapes in the morning increases your focus for ann extra-productive morning. For the after lunch slump, you can try the Revive vapes with a mild fruit flavor. This vape will re-energize and rejuvenate you giving you a boost for the second half of the day. The calming and soothing effects of the Lavender and Cinnamon Relax vapes are ideal for body relaxation, perfect for a nice relaxed evening. All Select CBD products are quality tested by an independent third party lab to ensure that you get the best product possible. A certificate of Analysis is available on their homepage. Select CBD oil drops and vape oil are all 100% pure CBD. No other cannabinoids and No THC. You are therefore guaranteed to not get ‘high’. Due to the rigorous quality control, the oils are always pesticide and solvent free. The only two ingredients in the oil are CBD oil and fractionated coconut oil. Vaping science is more complicated then you might imagine. Both CBD and vaping are relatively new industries and there are a lot of companies that are learning by trial and error. Ensure you don’t become one of these companies guinea pigs to help them with the perfection of their vaping technology at your cost. Homogeneous vape oil or e-liquid – They should be completely uniform as any separation between the CBD oil and carrier oil or e-liquid cases guaranteed problems. Third-party testing is crucial in this young and still much unregulated industry. Vape oil and e-liquids should be clear. Avoid any cloudy, thicker or murky oils and liquids. Organic ingredients. Avoid any vape oils and e-liquids that are not fully organic. Organic oils contain ingredients that are free from residual solvents, pesticides or heavy metals. Compatibility. The Vape oil or e-liquid should be compatible with your vaporizer. Incompatibility can cause problems. Select CBD is one of the companies that have these points covered. Combined with their high-tech vape technology, Select CBD provides outstanding vaping experiences. With a disposable vape pen from Select CBD you can be sure that the vape oil and the vaporizer are 100% compatible and in good shape. Pure CBD oils are in general better suited for vaping because everything -except for the CBD- is filtered out in the extraction process. Many more incoming by email, don’t miss out!